Sports were always an integral part of Anuj’s life. Be it playing cricket with his brothers in their back yard or watching the Olympics on TV, Anuj would not miss out on the opportunity of being a part of it one way or the other. We are often reminded of Anuj constantly repeating that "Sports is the the best thing to watch on TV now-a-days." 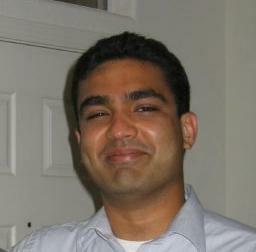 With the eyes of the world focused on the 29th Olympic Games in Beijing, Anuj often comes to our minds. The interesting part of his passion for sports was the fact that his dedication for it would always intrigue others and sooner or later you would see a huge group watching and cheering a team on along with Anuj. Putting all of it in a sport analogy, Anuj was a true sportsman one who lived for sports, no matter what the game might be.